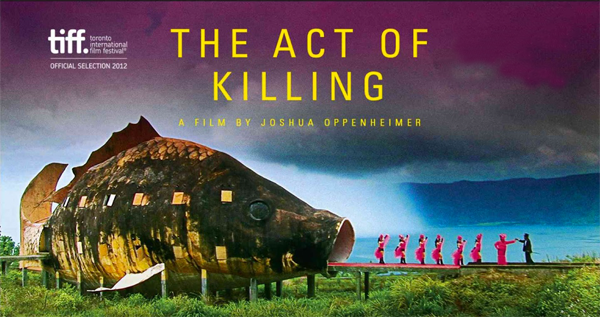 You only need to read the synopsis for Joshua Oppenheimer’s latest documentary The Act of Killing to understand the hype. The director – known for his experimental non-fiction feature The Entire History of the Louisiana Purchase – has brought documentary film-making into the realm of fiction by asking his subjects to recreate acts of their past on camera. But the intrigue doesn’t end there. Oppenheimer’s subjects are former leaders of an Indonesian death squad who recreate their murderous rampages in different film genres. Werner Herzog describes the film as “unprecedented in the history of cinema.” Herzog and veteran documentary maker Errol Morris immediately signed on as executive producers after an early screening of the film, which is in cinemas in the UK now. Despite what Herzog says, The Act of Killing does seem to be an outlier of two broader cultural trends within the documentary genre. Despite playing with fact and fiction, The Act of Killing is part of a lineage of documentaries that take an active part in the history they are depicting. The most famous of which is Morris’s The Thin Blue Line, which convinced police to reopen the case of a man on death row. Similarly, Capturing the Friedmans by Andrew Jarecki and the Paradise Lost trilogy have seen the directors do more than simply depict events. In the case of Capturing the Friedmans, since the movie’s release in 2003, Jarecki has used his resources as documentarian to provide one of the subjects’ defense team with new evidence in the hope of clearing his name. For the last two decades, Joe Berlinger and Bruce Sinofsky have been documenting and publicizing the plight of the West Memphis 3, a group of teenagers wrongly convicted of murder in a supposed Satanic ritual. The Act of Killing doesn’t try to exonerate the subjects, or bring new evidence to light for a judge or jury. But by reinvestigating the subject of great trauma, The Act of Killing reminds us of the unique power of documentary film-making.